Well hello there, Handsome. File this one under “Stuff I Want Despite No Practical Use In My Household” and cross file it into the “Not Bad For $60” folder. 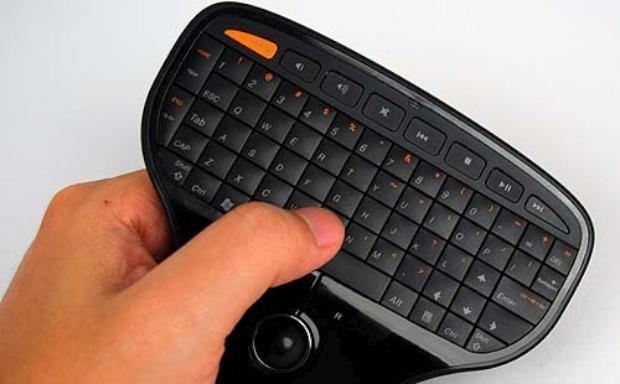 We’re looking at an HTPC-friendly remote control with built-in keyboard, trackball, and media buttons from Lenovo . It’s a 2.4GHz wireless affair with a range of over 30 feet, which should be plenty unless you like to sit reaaallly far away from your TV. It’s priced at $60 and is compatible with Windows.